Litton Farm is a stunning south-facing 4-bedroom Exmoor farmhouse offering self-catering accommodation for up to eight with a Hot Tub! The dog friendly property is set within its own secluded 180-acre estate and offers a classic Exmoor farmhouse for those looking to escape the hustle and bustle of the town or city. Whilst staying at the farmhouse guests can either relax within their own grounds or explore the beauty of the National Park with many popular attractions within easy reach. The refurbished farmhouse has been finished to a very high standard with a wonderful mix of original features such as beams, and inglenook fireplaces retained and beautifully incorporated with modern day appliances, allowing guests to enjoy a secluded Exmoor retreat with a stylish interior. Within the cottage there is a large, well-equipped kitchen with dining area, a spacious living room complete with a wood-burning stove, a formal dining room and four tastefully decorated bedrooms, including two doubles with en-suite bathrooms and two twin bedrooms, which share the family bathroom. 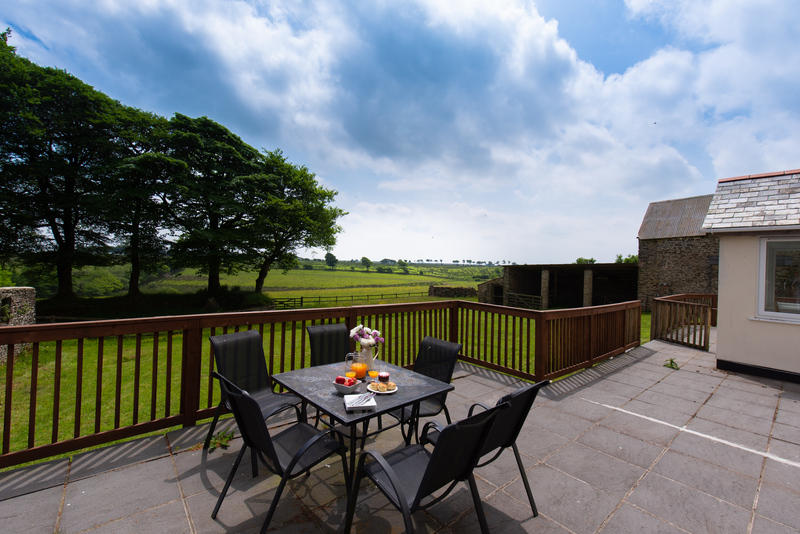 Litton Farm also benefits from its own fully enclosed garden, which has wonderful views over Exmoor that can be best experienced from the large paved terrace or the covered veranda where a pool table has been set up. With its big moorland skies, Litton Farm is one of the best places on Exmoor to take advantage of the National Parks Dark Sky Reserve status. 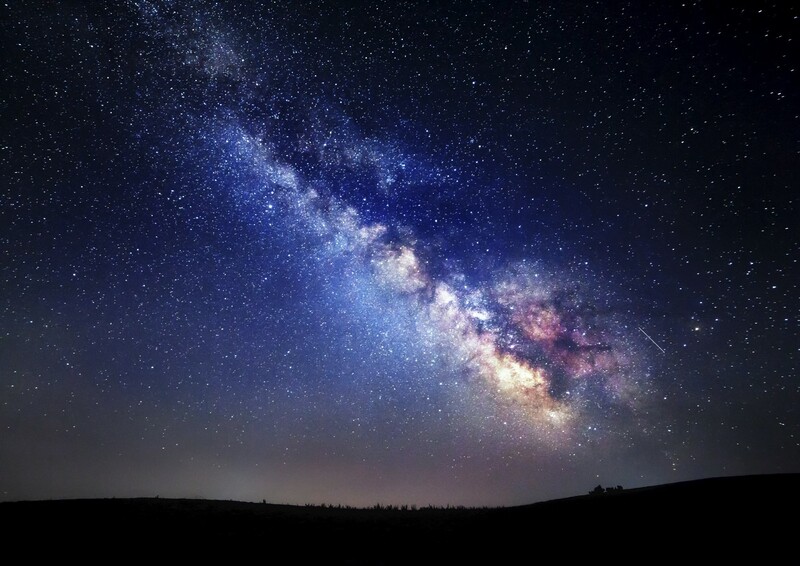 For many seeing the stars clearly is a rare sight but on Exmoor it is an every night occurrence with many of the astronomical sights able to be seen even without a telescope. 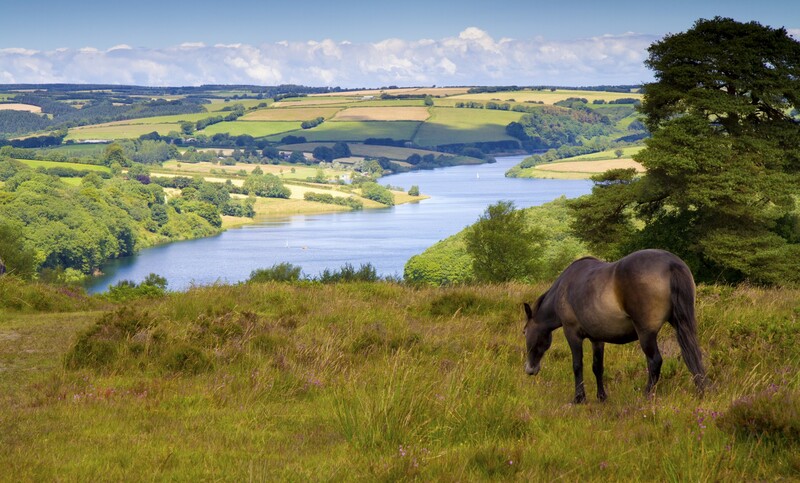 Thanks to Litton Farm’s excellent location on Exmoor there is a wealth of activities right on your doorstep. Whether you are looking to go fishing, horse riding, kayaking or walking there is always something to do. Wimbleball Lake is also close by and offers a wide range of water-sports that are sure to keep all the family entertained. If you would prefer to explore the local attractions there are several only a short drive away such as Dunster Castle, Knightshayes Court and Quince Honey Farm. Situated on the Somerset and Devon border above Withypool and Exford, Litton Farm is a wonderful place to explore the best of Exmoor and the surrounding area. Just a few miles from the farmhouse is the pretty Exmoor village of Withypool, which sits along side the River Barle in a sheltered valley. The village has its own small shop, as well as a tea room and a pub. An alternative pub to visit is the Sportsmans Inn, which is less than a mile from Litton and can be reached on foot. Other notable places to visit in the local area include Tarr Steps, Dulverton and Dunster. If you are looking at spending some time by the sea, the coastal resorts of Minehead, Porlock and Lynmouth are all within easy reach. Fallen in love with Litton Farm? Booking the farmhouse is quick and easy, just visit our booking page and you will find an up to date calendar with all prices where you can book online. Alternatively, you can get in touch via hello@littonfarmexmoor.co.uk or on 01271 377 432 and a member of the My Favourite Cottages team will be able to assist you in answering any questions you may have or help set up a booking.